In 1977, the infamous BBC sci-fi series Doctor Who introduced K9, a robotic dog which served as a companion to the time-travelling protagonist. The robot’s name – a not-so-subtle pun on the word canine – would quickly become the go-to moniker for any kind of artificial, bionic, or android dog. At the time, the very notion was pure fantasy, much like the time travel machines and alien invasions which featured on the show. But there’s something about the idea of a robotic dog which strikes a chord in the human heart. The juxtaposition between the far-flung future and humanity’s archaic past is contained in the shoddily constructed K9 prop. Man’s oldest friend, married to our most advanced technology. There’s something inherently loveable about a robotic dog. But robot dogs no longer live solely in the realm of science fiction. The Sony AIBO was the first time that consumer could buy an actual, fully-working robotic pet. It could do everything, developing an almost-real personality which caused plenty of owners to fall head over heels in love. Heck, the AIBO was – in some ways – far more powerful than Doctor Who’s erstwhile pet. In this article, we’ll examine the history of Sony’s AIBO, finding out just how (and why) we’ve reached the point where the idea of a robot dog is no longer futuristic, it’s downright nostalgic. To understand the AIBO, we have to look back at the CSL, Sony's Computer Science Laboratory. While Sony had a long history of innovation (the Walkman and the camcorder, to name just two paradigm-shifting products), they’d begun to struggle by the early 1990s. Sales were down and the failure of the Betamax still haunted the company. Set up in 1990, the CSL was intended to compete with Xerox’s Palo Alto Research Center and develop the next generation of stunning new technologies. One of the very first products developed by the CSL was an operating system named Aperios. While no one knew it at the time, the technology would go on to form the foundations of the AIBO’s software systems. It used pattern recognition, tracking data from live video feeds and using artificial intelligence to interpret meaning. When Nobuyuki Idei took over at Sony in 1995, he was so impressed with the results from the CSL that he pivoted the company’s plan of action to include more and more of the laboratory’s creations. In doing so, he launched a new era at Sony, one in which “Digital Dream Kids” was both the slogan and the ethos. Sony wanted to produce fantastical, wonderful technologies which captured the imagination like nothing else on the market. This gave birth to the AIBO. In many ways, the AIBO is the child of Toshitada Doi. One of CSL’s most revered engineers, Doi has described CSL as being “like a pipe,” in that concepts developed in the lab go on to be consumer products and the engineers who work on them are eventually found at every level of the company’s R&D division. It’s Doi who’s most closely associated with the development of the robotic dog. In 1994, he was part of a team working on artificial intelligence and robots. He teamed up with AI expert Masahiro Fujita and together, they developed a unique way of thinking about robotics. While most people were thinking of the commercial and industrial applications of artificial intelligence and robotics, they believed in the entertainment value of robots and AI, theorizing that novelty and curiosity could help capture people’s attention and make them fall in love. People would more readily overlook flaws and errors in an entertainment product, they argued, than one which performed critical functions. Presenting their cutting-edge research to the world in a ‘fun’ package would allow the CSL team to develop state-of-the-art vision tracking and speech recognition tech which people didn’t just use, they loved. They already had the Aperios operating system, they just needed to find it a home. Early experiments were promising, especially a robot named MUTANT. Though it only reached the prototype stage, many of the technologies later found in AIBO were first developed in MUTANT – it could track a ball, perform karate moves, shake hands, and even sleep. As successful as MUTANT was technology-wise, it wasn’t quite up to the standards needed for a wider release. Consumers needed to fall in love with the robot, so Doi and Fujita reached out to Hajime Sorayama, an artist. Casting aside the utilitarian design of MUTANT, Sorayama introduced the distinctly-canine aesthetics of the early AIBO prototypes and the eventual releases. Indeed, Sorayama’s designs were so vaunted that they’re included in the Museum of Modern Art and the Smithsonian, as well as winning plenty of contemporary awards. It wasn’t until 1999 that an AIBO model was ready for the mass market. Early models possessed six legs rather than four and contained many variations on the various technologies inside the body of the robot. Even though the intention had never been for Sony to release their research project as an actual product, Doi and Fujita’s design ethos – coupled with a building excitement for the first ever consumer robot – made the commercial sale of the AIBO an inevitability. 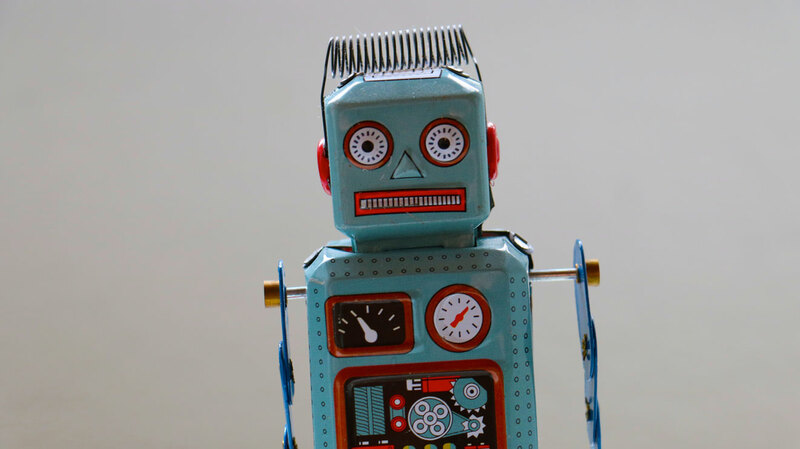 Pronounced ‘eye-bo’, the name was a combination of the initials A and I (artificial intelligence) and the third and fourth letters of the word robot. Conveniently enough, AIBO also happens to be the Japanese word for friend or companion. By the time the first generation of AIBO products were launched, that’s exactly how they were marketed: a loyal, lovable robot dog with whom you could form a bond. The initial launch in Japan was a roaring success. Despite the high price tag, Sony sold 3,000 AIBO units in just twenty minutes. A few months later, after the initial run had sold out, a second wave of 10,000 was released and Sony received 135,000 orders. By any metric, the AIBO exceeding sales expectations. But Sony were reluctant to produce too many AIBOs. Not only was exclusivity and limited demand a tool for keeping interest in the product high, the company decided that such small manufacturing runs allowed them to monitor and address feedback from the models out in the wild. Afterall, AIBO was still a CSL project at heart – research and data were invaluable, even if it made the AIBO’s economy of scale much less profitable. 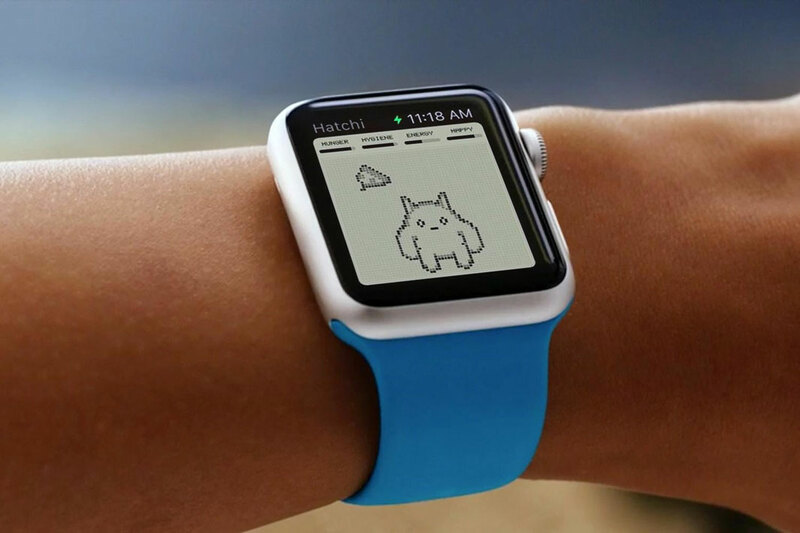 Of course, the immense success of the first generation of AIBOs led to the development of a second generation. An updated model was released a year later and included facial LEDs, better mobility, and touch sensors. 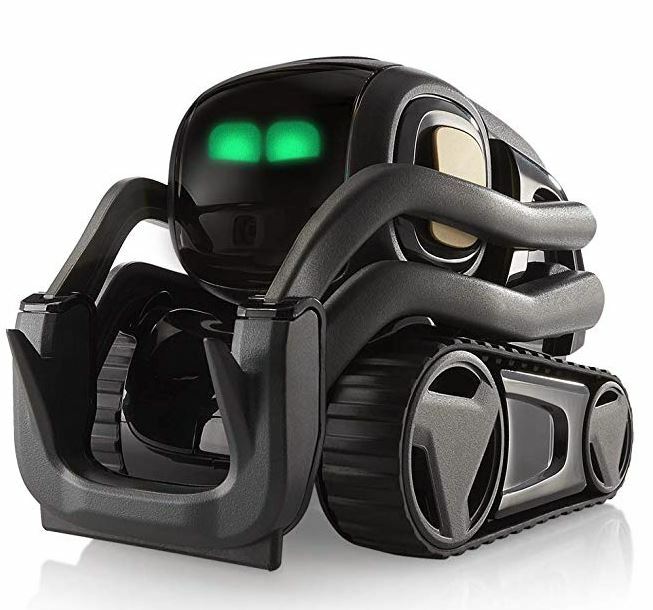 Customers had requested certain features, so the next AIBO possessed voice recognition and the ability to record names. These technologies were way ahead of their time and, as we’ll see later, manifested in plenty of later technologies. Over the coming years, Sony kept working on new AIBO generations. Models were designed to look futuristic or like lion cubs; cost-effective options were introduced; batteries were improved; wi-fi was added and then mobile connectivity; and acceleration sensors, microphones, and cameras were all fitted. While the first-generation sold in its thousands, the third-generation models launched in 2005 sold in their tens of thousands. But the AIBO wasn’t going to stick around forever. Despite the good sales figures for the first generations of the robot dog, excitement diminished and even constant re-designs couldn’t hold people’s attention. Eventually, AIBO was deemed a commercial failure and – in 2006 – production ceased amid a flurry of cost-cutting measures at Sony. While the project might have been a commercial failure by the time of its demise, it had certainly achieved a great deal of its initial goals. The very idea of a robot pet had seemed futuristic and bizarre in 1999. But seven years later, the market was flooded with alternatives and the concept had gained mainstream attention. Exactly as the scientists at CSL had hoped, the AIBO project had become the proving ground for a generation of technology and it had been accepted by the mass market. Perhaps the best indication of this was the strong attachments people formed to their robotic pets. An AIBO wasn’t just a device or an appliance, something to be switched on and off at will or left on a shelf to gather dust. It reacted to its owner, it developed a personality of its own, and it became a real companion for many people. So many people were so strongly attached to their AIBO pets that, when the batteries failed or the product broke, the owners held mock funerals for their robotic dogs. In Japan especially, hundreds of people staged traditional Buddhist burials for their pets. As you might expect, Toshitada Doi was ahead of the curve once again. Doi held one of the very first AIBO funerals shortly after the cancellation of the project and 100 Sony employees attended to pay their respects. Even if the project had died, the community of AIBO lovers lived on. Owners gathered online, sharing pictures, videos, and stories about their robot dogs. As Sony’s support for the project dwindled, they even began an ‘organ donation project’, whereby those units with failing devices could turn to the community for spare parts from broken models. When Sony’s software updates and legacy support finally stopped in 2014, there was a great sadness in the community. But there are still AIBO units who had endured to this day, even if their numbers are slowly waning. By the time support for the AIBO product line had ceased, the device’s legacy was secure. 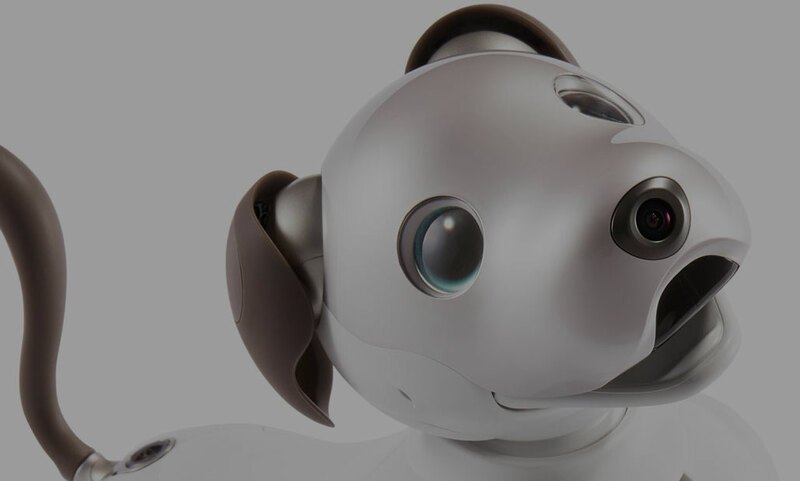 The name AIBO is now synonymous with robotic dogs in the same way that a xerox is the default name for a photocopier or a biro is a typical pen. Just as Doi and Fujita predicated, their invention helped to normalize many aspects of AI across the world. What once seemed futuristic is now almost kitsch. Indeed, the influence of the AIBO can be seen in many mainstream cultural products from the time after release. Big name American television shows such as Frasier and South Park featured the AIBO (or approximations thereof), as did the cartoons in the New Yorker. Many of these appearances might have poked fun at the concept of a robotic dog, but they helped to acquaint the technology with audiences around the world. Academics were similarly enchanted by the notion of a robot dog and what it meant for society as a whole. One study conducted by Purdue University introduced AIBO units into a nursing home. They found that the residents were reluctant to conceive of the robots as replacements for real dogs, to the point of animosity. Perhaps the older generations were too far removed from the cultural zeitgeist Doi was trying to capture. This is certainly reflected in a study of AIBO owners, when researchers carefully examined the modes of expression on an AIBO message board. The team found that owners were able to project emotional states onto their robotic pets – they truly saw happiness and sadness, while forming legitimate social bonds with their pets, just as they might do with an actual dog. There was a perpetual acknowledgement of the one-sidedness of this relationship, however, as the owners were well-aware of the fact that the AIBO remained an item of consumer tech, rather than a real pet. In both cases, AIBOs eventually faltered when compared to real dogs. But the kindling of emotional bonds between owners and their tech products was a real leap forward for Doi. No longer were Sony selling people Walkmans and appliances. The AIBO was something consumers could truly love. Hence, so many people wanted to mark the passing of their units with a real funeral service. Imagine trying to do that for a phone. The AIBO’s legacy is not just sociological. Plenty of technologies were introduced to the public via the AIBO, especially in later generations. Eventually, many of these innovations made it into the public sphere and tech we take for granted today was once a part of the futuristic robot dogs. Most obvious of these is the aforementioned Aperios. Developed as a “real time, object-orientated” operating system with a “reflexive architecture”, it formed the foundation for a wave of Sony products. The same tech which helped the AIBO track a pink ball was later found in televisions and set-top boxes. The robot’s ball tracking skills were made possible by Aperios’s ability to handle high-speed video and audio. Eventually, that allowed cable companies to provide more channels and interactive services. While it wasn’t considered an OS for the internet age, the feedback and real-world data gathered from AIBO units were essential in the development of Sony software. It was a similar story with the Memory Stick. These days, flash storage is everywhere. If you’re moving or storing large amounts of data, you’ll probably use a USB flash drive or an SD card. Back when the AIBO was hitting the market in 1999, most of the world was using CDs or DVDs to store data. But not the AIBO. 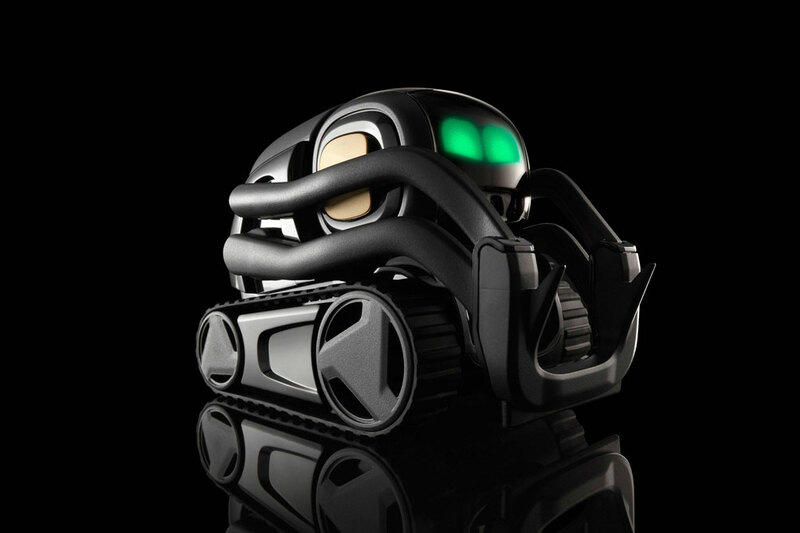 Sony’s robotic dog came pre-loaded with a Memory Stick, a removable flash memory device. While the propriety Memory Stick would eventually become obsolete (not before being used in cameras, games consoles, and audio equipment), AIBO owners were more than used to lifting up their pet’s tail to find a flash drive tucked into place. In so many tiny ways, from memory formats to battery charging tech, the AIBO was ahead of its time. While it introduced the concept of artificial intelligence as entertainment, it needed advanced tech to make it a reality. Many of the innovations we take for granted today were forged in the strange, curious world of Sony’s robotic dog. While the original run ended in 2006, the AIBO is not dead. As well as the enthusiast communities and the residual users still out there in the world, there’s hope for aspiring AIBO owners yet. That’s right, Sony is planning on bringing the AIBO back. With launch just a few weeks away (ready in time for Christmas), this brand new generation of AIBOs will build on the technology which Noi and Fujita developed all those years ago. But what they once deemed futuristic and advanced is now almost nostalgic. We live in a world of drone strikes and machine learning algorithms in our smartwatches – a robotic dog which fetches a ball isn’t considered cutting edge anymore. But that’s done nothing to dampen excitement. There are definite leaps forward in the AIBO world. This time, for instance, the operating system won’t be loaded on a Memory Stick. Instead, it’ll be hosted in the cloud. There’s an app allowing owners to check in on their animatronic pet while they’re away from home and even a high speed cell connection so you can potentially take AIBO out for a fully-internet-connected walk. Once again, Sony says that the production run will be limited. Just as before, there’s a huge excitement brewing. Expect to shell out close to $3,000 for your chance to own an AIBO and you’ll have to move quickly once they go on sale. Once they’re gone, they’re gone. It seems strange to say that a robotic dog changed the world but, in a very small yet meaningful way, the Sony AIBO changed everything. It altered the way we think about artificial intelligence and robotics as a consumer product. It made robots a form of entertainment, it made them something we could love. It’s no wonder that the Washington Post is writing glowing articles about the next generation of AIBO products. In many ways, the future has come and gone and is now coming back all over again. Long live the Sony AIBO. Artificial pets are just like real pets but powered by artificial intelligence. Your cat or dog or hamster needs food and attention and are lovely. AI pets are very similar that you can play with them but they do not or need a lot less care. AI pets can also get upgraded over time. Either with firmware upgrades to what your artificially intelligent pet can do or by buying ai pet accessories. Many years ago when one of the first real domestic helpers entered the homes of people with Romba the cleaning robot, people started to develop connections with their small robotic helpers. After that AI kept developing and the field of computer vision and image recognition made huge leaps forward. With these technological advances it was possible to create real artificial intelligence pets that were able to identify their owners, play with them and build strong bonds just like with real pets. Can AI pets replace real pets? Probably not, but they can become low maintenance and fun companions in your home and maybe even household helpers.